Fall is my favorite season! Yet fall is hiding from me. Why do I love fall? COATS. JACKETS. 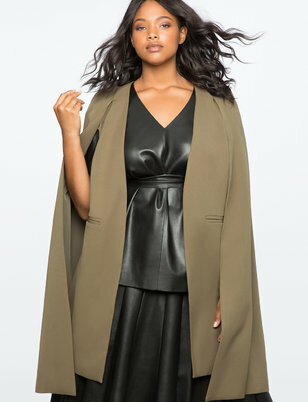 CAPES. All of it. I love it! And all the brands are starting to come out with this season’s it looks. Below are some of my favorites…and no they aren’t all Eloquii…lol. Those are some of my faves! What are you loving this fall? Have a coat you are rocking? Tag us #howitfitsplus on Instagram!